Harlequin Flexity™ is a cost-effective, self-install sprung dance floor panel system, designed for permanent or semi-permanent installation. 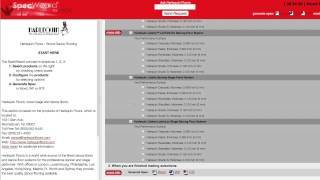 Learn more about Harlequin Floors by watching this brief 4-minute video. 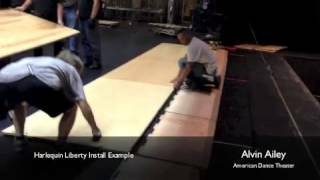 How to Install a Harlequin Liberty Sprung Floor System. Boy Blue Entertainment Floor Testing. Harlequin Floors is a world wide source of the finest dance floors and dance floor systems. Alvin Ailey installs Harlequin Floors' Liberty Panels.